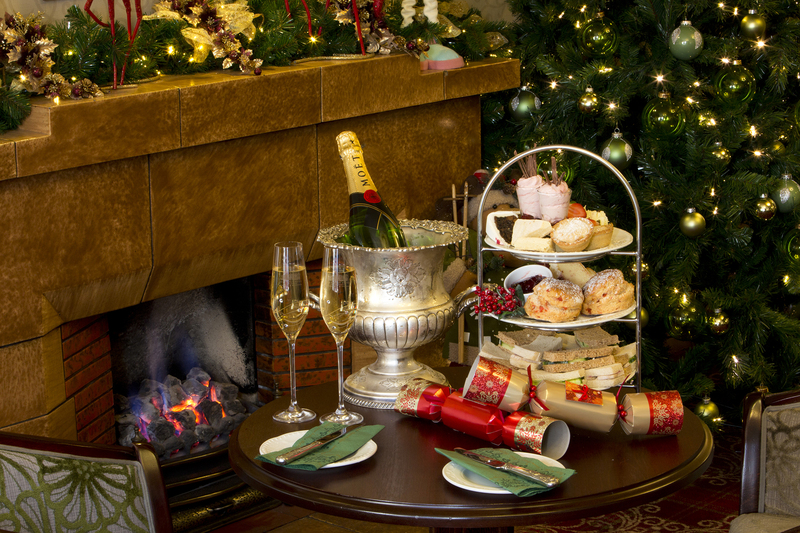 Relax in the Orangery or Lake View Lounge and enjoy our festive specialities and delicious favourites. Come in from the winter weather and warm yourself beside our cosy fire or with a glass of Mulled Wine for a festive treat. A selection of finger sandwiches, delicious homemade fruit scone with jam and clotted cream, festive biscuits, Christmas cake, mini trifle and cupcake. All served with your choice of a glass of mulled wine, tea or coffee. Other festive treats and nibbles available, see our festive menus for more details.